To celebrate Hispanic Cultural Heritage Month, Agnes Moncy, PhD, professor of Spanish in the Department of Spanish and Portuguese at Temple University, will discuss El Greco. 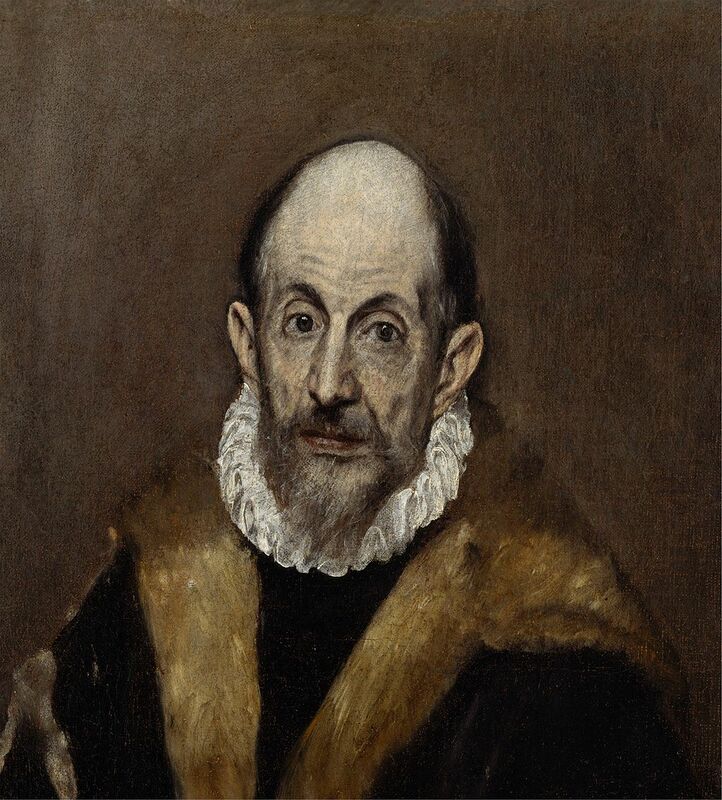 This event, held at 3:00 p.m. Oct. 23, in room 204, commemorates the 400th anniversary of El Greco’s death. The event—co-sponsored by Falvey Memorial Library, the Department of Romance Languages and Literatures, Sigma Delta Pi and the Hispanic Honor Society—is free and open to the public. El Greco, born Doménikos Theotokopoulos (c. 1547 – 1614) in Crete (a Greek island), moved to Italy as a young man. There he visited Venice, where he was influenced by the paintings of Titian and Tintoretto; El Greco also traveled to Rome where he saw Roman and Florentine Mannerist works. By 1577, he had moved to Toledo,Spain, where he remained for the rest of his life. El Greco (“the Greek”) is considered a major Spanish Renaissance artist although his personal style reflects strong elements of Late Byzantine and Late Italian Mannerist art. He painted portraits and intensely emotional religious paintings such as “The Burial of Count Orgaz,” 1586, in Santo Tomé, Toledo, Spain. El Greco: Christ Driving the Traders from the Temple (Great Britain: National Gallery, 1995). Rubens, van Dyck and the 17th Century Flemish Painters; Rembrandt and the 17th Century Dutch Masters; Velazquez, El Greco, Goya and the Spanish Masters (Russia: Gosudarstvennyi Ermitazh,1992). Alvarez Lopera, José. El Greco (Barcelona: Galaxia Gutenberg, 2003). Text in Spanish. Alvarez Lopera, José. El retablo del Colegio de Doña Maria de Aragón de El Greco [The Retablo (Altarpiece) of the Colegio of Doña Maria of Aragon by El Greco] (Madrid: Tf. Editores, c.2000). Text in Spanish. Calvo Serraller, F. Entierro del conde de Orgaz [Burial of the Count Orgaz] (Milano: Electra, c.1994). Text in Italian. Figures of Thought: El Greco as Interpreter of History, Tradition and Ideas (Washington, D.C.: National Gallery of Art, 1982). Guinard, Paul J. El Greco: Biographical and Critical Study (Lausanne: Skira, 1956). Kelemen, Pál. El Greco Revisited: Candia, Venice, Toledo (New York: Macmillan, 1961). Marías, Fernando. El Greco in Toledo (London: Scala, 2001). Marías, Fernando. El Greco, Life and Work: A New History (London: Thames and Hudson, 2013). Museo Thyssen Bornemisza. El Greco: Identity and Transformation: Crete, Italy, Spain (Milano: Skira, 1999). Panagiötakës, Nikolaos. El Greco: The Cretan Years (Farnham, UK: Ashgate, 2009). Sérullaz, Maurice. Christ on the Cross (London: M. Parrish, 1947). Sureda, Joan. La Gloria de los Siglos de Oro: Mecenas, Artistas y Maravillas en la España Imperial [The Glory of the Golden Age: Patrons, Artists and Wonders of Imperial Spain] (Barcelona: Lunwerg Editores, 2006). Text in Spanish. Toledo Museum of Art. El Greco of Toledo (Boston: Little, Brown, 1982). Wethey, Harold E. El Greco and his School (Princeton, N.J.: Princeton University Press, 1962).